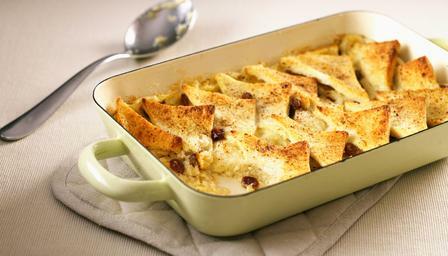 Not to be confused with bread pudding, which is more in the style of a slab cake, bread and butter pudding is more of an egg custard with added bread. Always a favourite of mine, these are some recipes from my own archives rather than the cook book. Bread and butter pudding is versatile and cheap though the bread can be replaced with brioche (as below), Madeira cake or croissant. Butter for Greasing 6 Slices White Bread, buttered and each sliced into 4 triangles. Mix the cream with the milk and add the sugar. Whisk the eggs and add them to the cream mixture. Butter a deep oven-proof dish 15 cm x 22 cm. Arrange a layer of bread & butter in the base. Sprinkle over cinnamon to taste and the sultanas. Add another layer of bread & butter. Pour the cream mixture over the layered bread. Top with further cinnamon if desired and the brown sugar. Cook for 30-35 minutes until the surface is a rich golden brown. Place 4 oz of the marmalade in the base of four individual ovenproof dishes. Place 2 pint of the cream into a pan and heat until boiling. Place the eggs and 3 oz of the sugar into a separate bowl and whisk together. Pour the boiling cream on to the mixture and whisk. Pour half the mixture onto the marmalade and sultanas and reserve the remainder. Layer the bread on top and sprinkle on the remaining sultanas. Pour on the remaining cream mixture. Put the dishes onto a metal tray and place in the oven for approximately 20 minutes. Lightly grill the oats until they change colour. Whisk the remaining sugar and cream in a mixing bowl. Add the honey and a dash of whisky and add the oats once they are cooled and whisk again. Spoon the mixture into small round dishes and place in the refrigerator until ready to serve. 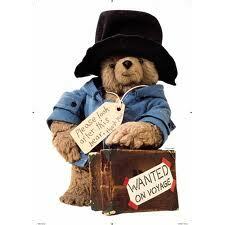 Place the remaining marmalade in to a pot and microwave on full for approx. 20 seconds. Brush the melted marmalade on top of the bread and butter puddings as soon as they are taken out of the oven. Butter the brioche pieces and slice into bite-sized pieces. Grease an ovenproof dish with butter and arrange the croissants in the base of the dish. Heat the cream in a saucepan over a medium heat and stir in the cocoa powder. Meanwhile, whisk the egg yolks, eggs and sugar in a mixing bowl until smooth. Stir over a medium heat until a thick and glossy custard is formed. Pour the custard over the croissant pieces. Place the dish in the oven and bake for five minutes until golden-brown. This entry was posted in Bakery, Breads and tagged bread, butter, chocolate, cocoa, marmelade, sultana, traditional. Bookmark the permalink.